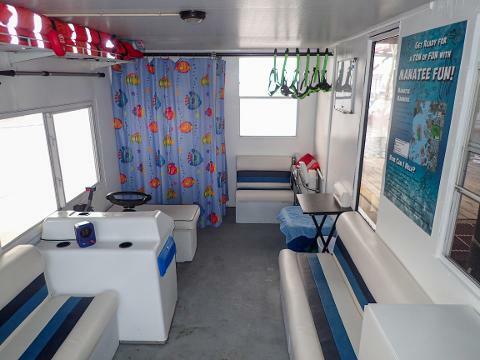 Start your morning on the Manatee Fun Houseboat for a memorable manatee encounter and wrap it up with a guided Segway tour of Crystal River! 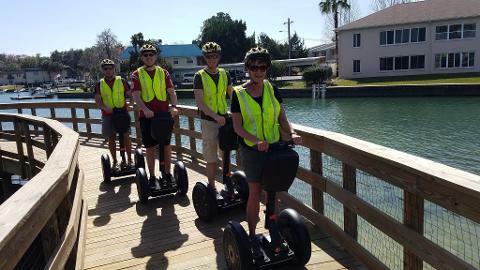 Crystal River Segway tours are an outstanding way to see the local sights and enjoy just a bit more Nature in your day. While you are here, it's a great idea to do a bit more exploring and Captain Broderick can lead the way in confidence! 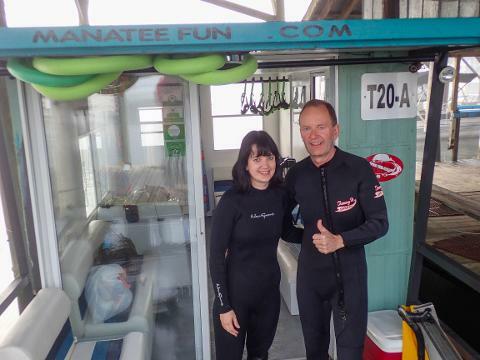 He has developed a special trek just for our visitors that may include hotspots like Hunter's Spring and King's Bay Park, the mansions of King's Bay, Heritage Village, the manatee bridge, sections of the Withlacoochee bike trail and much, much more. Why stride when you can glide?? Each and every guest gets personal training on the Segway PT to ensure safety and comfortably. Our trained staff will work with you as long as it takes! Before you sign your release forms we make sure you are ready to go. 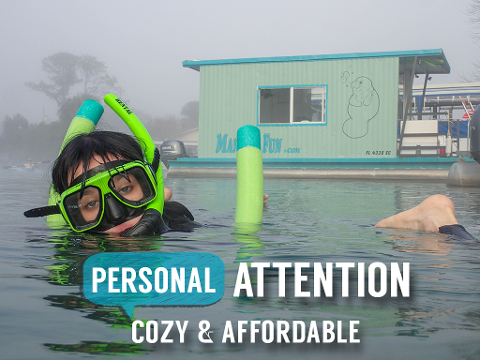 Combo price includes your 3 hour semi-private manatee tour and a 1.5 hour Segway experience(some of this time will be spent segway training). 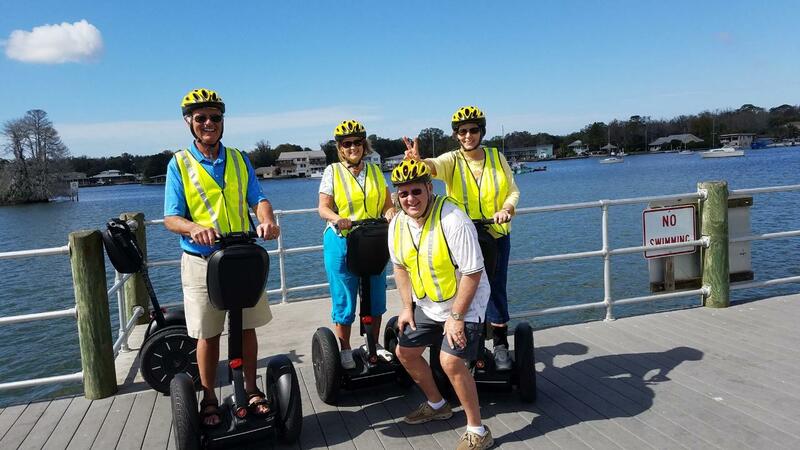 River Ventures and Manatee Fun will be your home base, and the Segway tours depart from outside our facility. No need to drive your family to a secondary location! 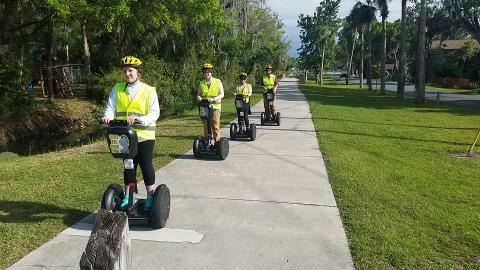 Segway start time is customized depending on which manatee tour time you choose. Great for all ages, but children must be over 14 (exceptions may be made if the child has segway experience and is over 10) to safely enjoy this adventure. Weight limit of 260 lbs. for all adults. Bring your swim suits, towels, camera, binoculars and a hat for sun protection. We provide you with all the other gear you need!